I've got mine & I'd like to share this card that I made with you! It's a type of pop up card! This little guy is called Bowling Gnome! What a sweet & cheeky little smile he has! but, it folds flat for posting! 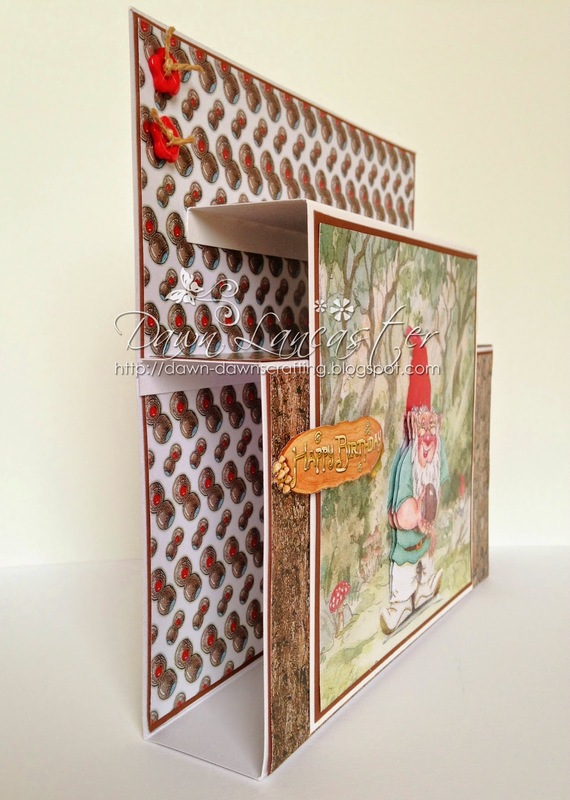 I found a tutorial for this type of card when I was doing a bit of blog hopping. I thought I had bookmarked the page but it seems not. So, I'm sorry I can't share a link to it! I will of course keep looking. little bit of recycled twine from a clothes tag. I wouldn't hang about! These guys are very popular! See if you can spot my card! What a super card Dawn - I think I can work out how it's done from the sideways-on shot, very effective and ideal in that it folds flat. Looking forward to seeing all our cards on the shows today - it's a brilliant CD and deserves to sell out fast! 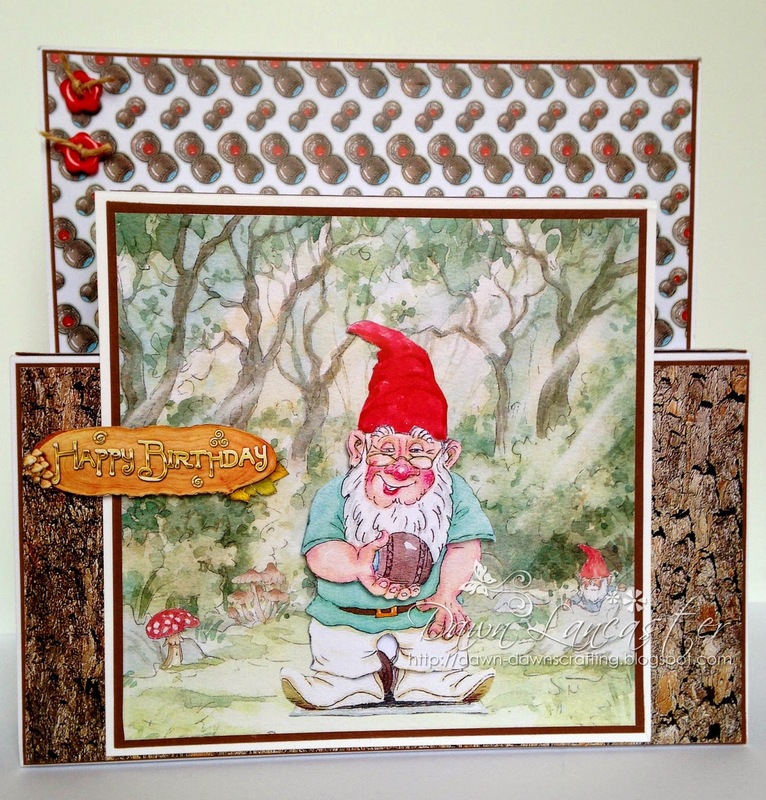 A fabulous card design Dawn, my hubby would love this card as he is mad about gnomes. 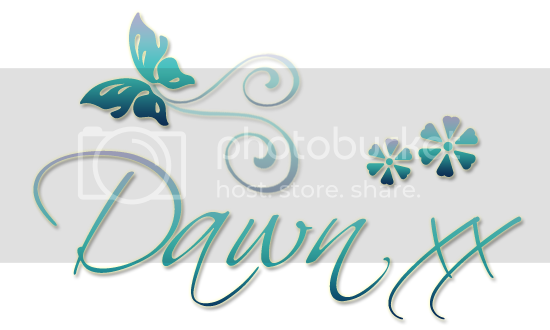 A fabulous card Dawn, such a fun image and great design. What a fabulous image and I love the pop up design - superb card!! So glad you showed us the side of your card...or we may have not realized it was a fun pop up! Super job and love the way you did the sentiment! Thanks for joining us at STB this time around! Wow, Dawn, great fold and great card! Love the look on the silly gnome's face! I think he's trying to impress the Cleaning Fairy! What a fun card both with the image and the fold! Thanks so much for joining us at Seize the Birthday! Nice card! Thanks for joining us at The Crazy Challenge. What a great card, just makes me smile. Great pop up card. Thanks for joining us at SBC this month. Great pop up card, I have never seen one of these. Thanks so much for playing along with Scrapbook Blessings Club and good luck! Our new challenge starts tomorrow. 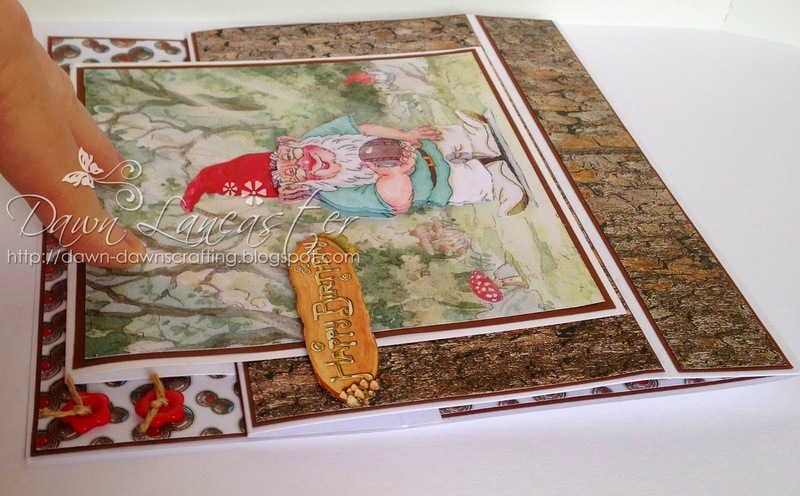 Thank you so much for joining the fun over at Scrapbook Blessings Club. Our new challenge starts tomorrow. Hope you'll join that one also. Have a magical day!